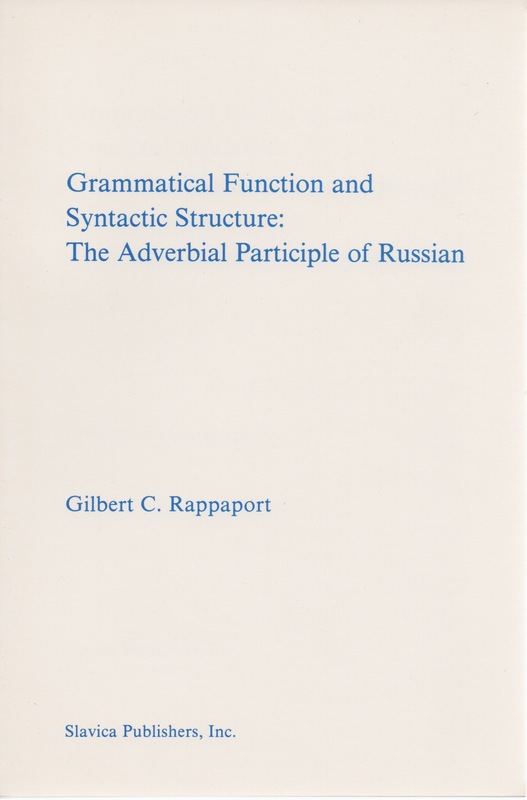 Based on original research in Russian syntax, this book explores the intersection of sentence intonation, syntactic structure, and grammatical function in the case of the adverbial participle (deeprichastie) of contemporary Russian. An adverbial participle clause constituting an intonational unit separate from that of its matrix clause is detached (obosoblennyi). The core of the book documents in detail a range of specific syntactic and semantic properties differentiating detached and non-detached adverbial participle clauses. These properties include, for example, the range of understood subjects, the temporal relation between the participle and matrix clauses, and aspectual choice in the participial form. Taken together, these properties indicate that the presence versus absence of detachment intonation is correlated with a distinction in the grammatical function of the adverbial participle clause. The final chapter generalizes and extends these results, providing a formal apparatus for describing the observed properties in terms of constituent structure and lexical representations. The study concludes with an explicit statement of the distinction in grammatical function signaled by detachment.